Here at Eden Hill, the riding centre facilities are available to all students. Our qualified and experienced instructors are capable of tailoring a course, to advance your standard of horsemanship as well as providing lots of fun on horseback. Students are involved in equestrian activities for 15 hours a week. 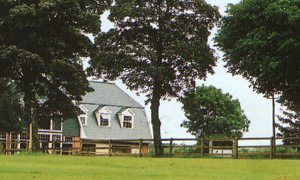 Eden Hill has 30 horses and ponies for the use of the students during the summer as well as horses for breeding and racing. 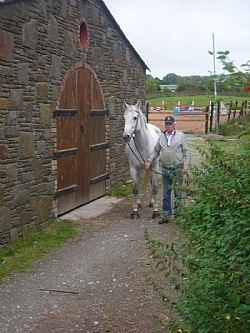 Stabling facilities are available also for livery horses. 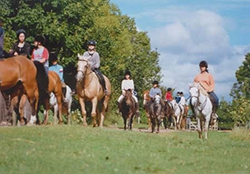 Eden Hill has 100 acres of grounds devoted to riding which include a 30 fence cross-country course, a floodlit, all-weather outdoor menage, an indoor menage and miles of country roads for leisurely hacks in the beautiful countryside of the famous Blackwater Valley. Ideal for the equestrian enthusiast with trekking, show jumping and private lessons available for beginners to advanced riders. Located in the cross roads of Munster, Ivy Bridge is ideal for touring the South of Ireland. 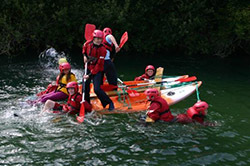 The activity centre at Ballyhass makes full use of the natural environs with kayaking, raft building and trout fishing on the spring clean water, rock climbing and abseiling on the limestone rock faces, and specially constructed low ropes courses, archery and team building games on the lawns. 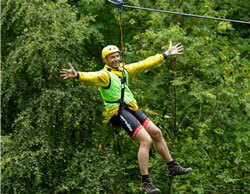 Our resident instructors plan the activities to suit each group be they family outings, school groups, or corporate team building. Blackwater Castle has an abundance of activities for you to enjoy from strolling along the banks of the River Awbeg which runs through the grounds, relaxing in the reception suites of the Castle itself to adrenaline rushing outdoor activities such as Zip Lining on Ireland's most spectacular zip line across the valley , canopy walking on a high wire course, zorbing to list just a few of the activities on offer. Mallow was established in 1948 at its present location, in the heart of the Blackwater Valley, an idyllic setting for an entertaining round of golf. Renowned for its accessibility (it is situated at the Crossroads of Munster) this course boasts an idyllic, rural setting for golfers from every quarter. 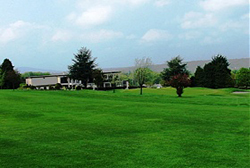 It is a tree-lined parkland course with exceptional views of both the Mushera and the distant Galtee mountains. Mallow has been significantly changed in recent years, to provide for a better variety of shots and a more enjoyable experience for the serious and not-so-serious golfer alike. 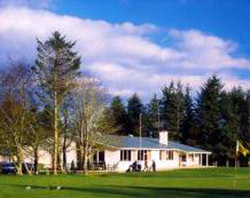 Ballinamona Golf Club is described by its owners as 'an all-weather golf course'. The entire course is situated on millions of tons of sand deposited over several million years ago, the result being that this parkland course has a links-like feel. It has also created natural and spectacular undulation so as to create golf shots to capture any golfer's imagination. The greens are constructed to USPGA standards, the sand/peat mix allowing them to be played even in adverse weather conditions. 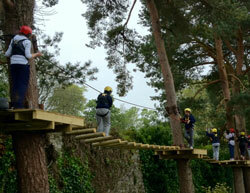 The course enjoys panoramic views of Ballinamona Valley and a nearby castle. Facilities include changings area and showers; club hire; caddy hire and a shop. Doneraile Golf Club is located three miles from Cork, off the T11. 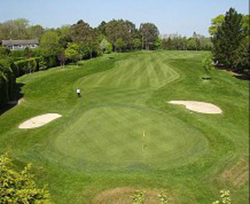 It was founded in 1927 and is a pretty little nine-hole parkland course. It measures 6000 yards in length and has a par of 68, one more than the SSS. A river comes into play at a couple of the holes and, all in all, it's a very pleasant place spend some time swinging a golf club. It's fairly inexpensive, too, and visitors are welcome at any time, though societies are encouraged to make prior arrangements. There's a practice ground, so make use of it before you head out on to the course. And, once you've finished, why don't you pop into the restaurant and bar. The attractive parkland course on its present site since 1941 has now extended to a pleasant 27 hole heavily wooded layout, well known for its lush fairways and beautiful greens. Its location at the foothills of the Ballhoura Mountains and next to Munster's most central town makes it an ideal centre for golf only 40 minutes from Cork and Limerick cities. 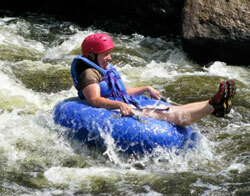 The club is renowned for it's friendliness, which extends to Irish and overseas visitors alike. The course is very popular and is always in excellent condition, with the biggest advice being to avoid the numerous trees. A course for a not too demanding but enjoyable round and a visit is certainly recommended. 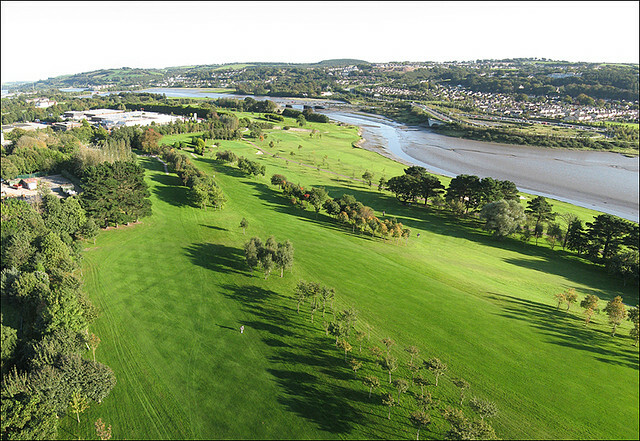 Monkstown Golf Club is situated eight miles from Cork City. It's a well-developed parkland course and the excellent variety of holes combine to create a superb all-round test for golfers of all abilities. Some of the holes are tree-lined and these add to the scenic appeal of Monkstown. Visitors are welcome on Mondays, Thursdays and Fridays and the green fee is very reasonable for a course of this quality. It has all the facilities you'd expect and definitely don't miss out on the warm welcome that is guaranteed in the clubhouse, where there's an excellent bar which serves food and refreshments. Mahon Golf Club is a municipal course which is situated south-east of Cork City. The course was provided by Cork City Council in 1980 and it regularly receives praise for its excellent condition. The 18-hole layout is set between Clover Hill and the estuary of the Douglas River and commands a delightful view of Lough Mahon and the gently sloping hills of Rochestown. The amenity continues to be a success with golfers. Green fees are available and golfing societies are welcome to reserve the tee. So, if you're in Cork City and you're looking to play on a course in good condition without having to cough up too much cash, then Mahon could be the answer. 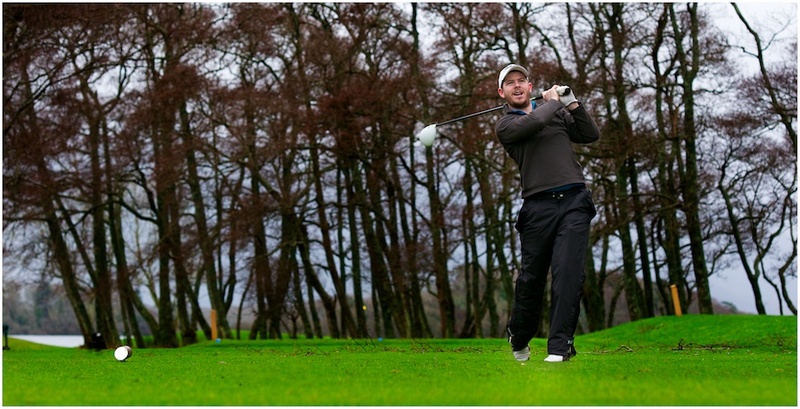 Mitchelstown Golf Club is a delightful golfing experience for both the beginner and the experienced golfer alike. The course, at 5645 yards, is neither long nor hilly, but strategically placed sand bunkers will entice you to play accurate golf. This beautiful setting offers panoramic scenes of the nearby Galtee Mountains, and unspoilt views of the Blackwater Valley. The visiting golfer can enjoy the combined features of mature woodland, gently undulating natural parkland, lake, river, and mountains. Attention to detail, and a strong commitment to high quality course management over many years, underpin the success story that is Mitchelstown Golf Club today. 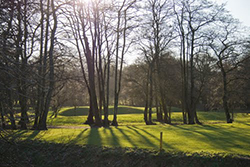 Lee Valley Golf & Country Club is beautiul Parkland Course located in the rolling hills of the stunning Lee Valley. With arguably the best greens in Munster and holes to challenge the bravest of golfers Lee Valley is an excellent choice for anyone looking to golf in Cork. 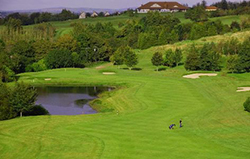 Welcoming Groups, Societies and Corporate Outings all year round and with rates offering exceptional value for money Lee Valley should be high on your list for a golf course to play in Cork.